The Heart of South Jersey is a supportive service the Pascale Sykes funded transportation initiative, the Pureland East-West Community Shuttle. Riders can read "On the Route," our monthly newsletter, to find resources of interest to themselves and their families. For more information, connect to the Pureland->East<-West-Community Shuttle website or download the shuttle schedule. Article submitted to nj.com by Michael Gower for United Way of Gloucester County. 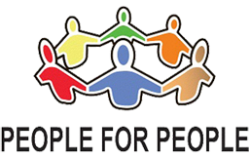 SEEKING HELP-WHERE TO START: The Heart of South Jersey “Resource Central” can provide you with a single port of entry for information, assistance and guidance to help navigate the maze of help providers and agencies in Gloucester County and the surrounding area. The Heart can also serve as advocates in your search for assistance. Scan the QR above or go to http://heartsj.org/what-we-do/transportation.html/ to gain access to information you can use. You will be able to contact a Heart of South Jersey Information Specialist through our Heart Chat Line or Heart Phone Line, search the Heart of South Jersey Resource Directory, go through our current and past issues of the On the Route and More newsletter, connect to the Shuttle Schedule, as well as how to download the Resource Directory to your mobile device. 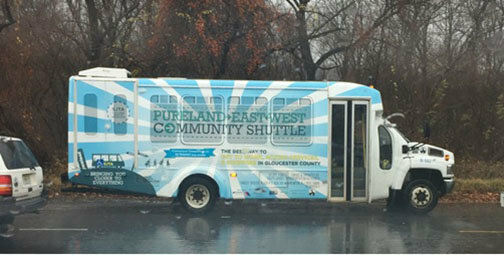 Please check out the new Pureland East-West Community shuttle website. Gloucester County has public transportation running north and south throughout the county, but there are no options for people who live in Williamstown, Glassboro, Mullica Hill or Swedesboro seeking transportation directly to east or west destinations unless they take multiple transit routes and transfers. This new east and west shuttle will fill the gap in providing easier access to worksites, human and social services, health care facilities and shopping locations for over 20,000 households located in proximity to the new route whose residents are dependent on public transportation. The shuttle schedule runs Monday through Friday and connects with existing NJ Transit transportation services (NJ Transit 313, 316,400, 401,402,408,410, 412, 459,463, 551) by providing supplemental and not competing service for riders. A transfer agreement with NJ Transit has been worked out for the many NJ Transit connections on this route. Two shuttles run on a continuous route with multiple stops in the morning and again in the afternoon. The shuttles begin at the NJ Transit Avandale Park & Ride and make stops along Sicklerville Road and Route 322 to Kings Highway through Swedesboro to Center Square Road to the Village Center where it will connect to the Pureland Circular Shuttle. The focus is to serve employees of the Pureland Industrial Park whose work shifts begin between 6:00 a.m. and 10:00 a.m and will be reversed between 2:00 p.m. and 6:00 p.m. You do not need to be employed at the Pureland site to ride the shuttle. It is open to the public that can utilize the stops along the way. 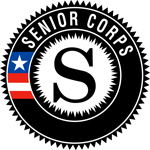 Service hours are Monday-Friday, 5:00 am – 11:00 am and 1:30 pm – 7:30 pm. The Heart of South Jersey is proud to be a collaborating partner in this Pascale Sykes initiative by providing information, referrals, advocacy and one on one guidance to those riders seeking help with other services and programs through our “Resource Central” program utilizing the Heart of South Jersey Resource Directory, Chat Line, Warm Line and Twitter. The goal is to provide “Transportation Plus” for the riding public in Gloucester County.